THE SECRET TO PERFECT BROWS! Indelible Brow Browliner by Blue Water Naturals! The Perfect tool for brow shaping and shading! 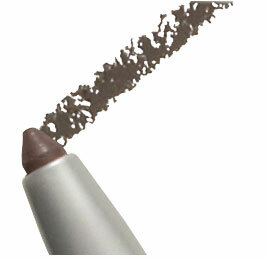 Create the prefect brow line with this waterproof browliner. Vitamin-enriched color will glide on smooth and precise then use the attached brush for blending. No streaks, no smudge, no mess - just slim, sophisticated, eye-enhancing expert brows. Normally only available in salons, you can order direct from Blue Water Naturals! This browliner features a waterproof, fast-drying formula that's made to last!